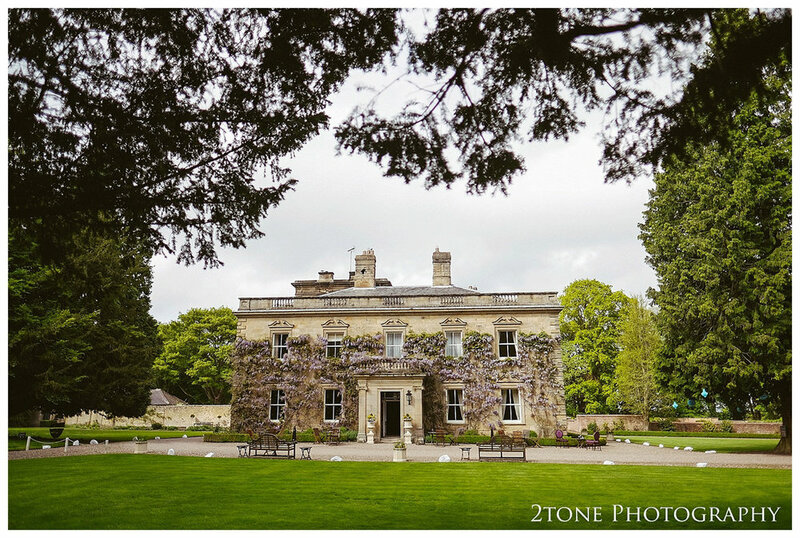 Eshott Hall is just about one of my favourite venues. I adore the classic architecture, the traditional but fresh interior design, the surrounding landscaped gardens and woodland leading out towards the beautiful Northumberland countryside which extends as far as the eye can see. 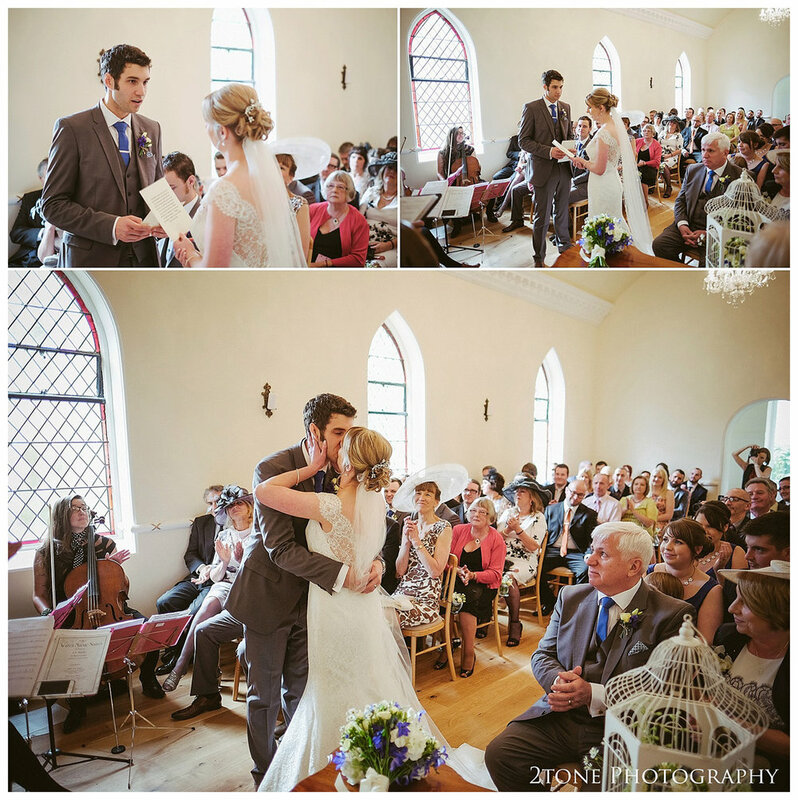 It made the perfect venue for Emma and Tom on their wedding day earlier this year. 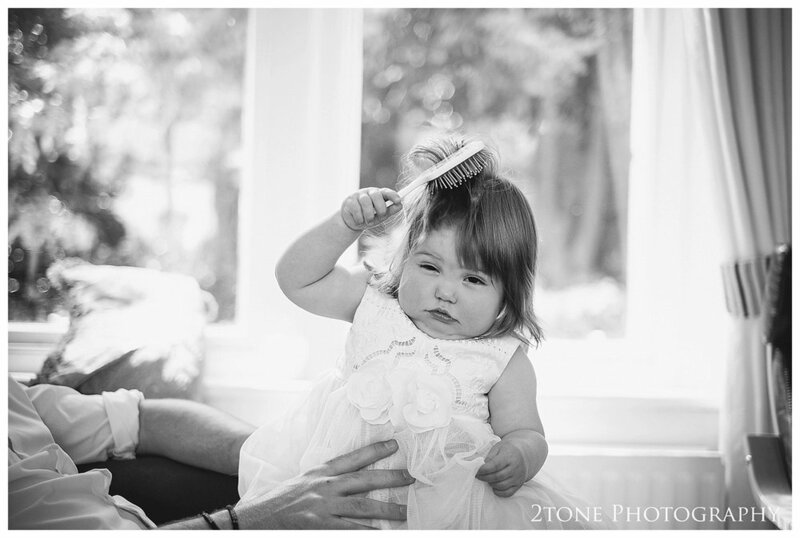 We first met Emma when she was a bridesmaid for her sister Sally and husband Andrew a few years back. 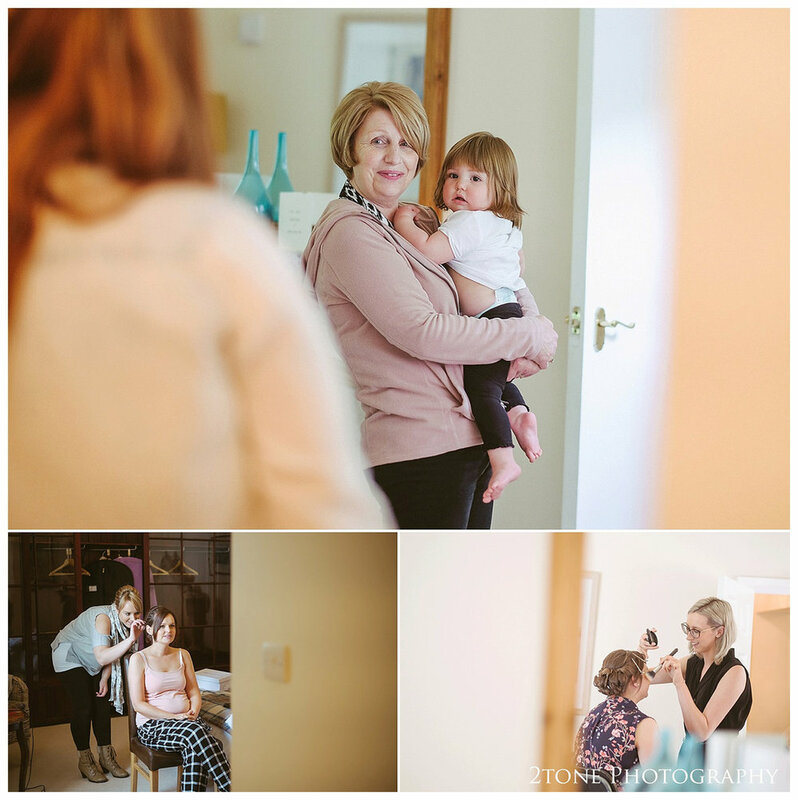 It was wonderful to be invited again to capture another day in photographs for this kindhearted and wonderful family. 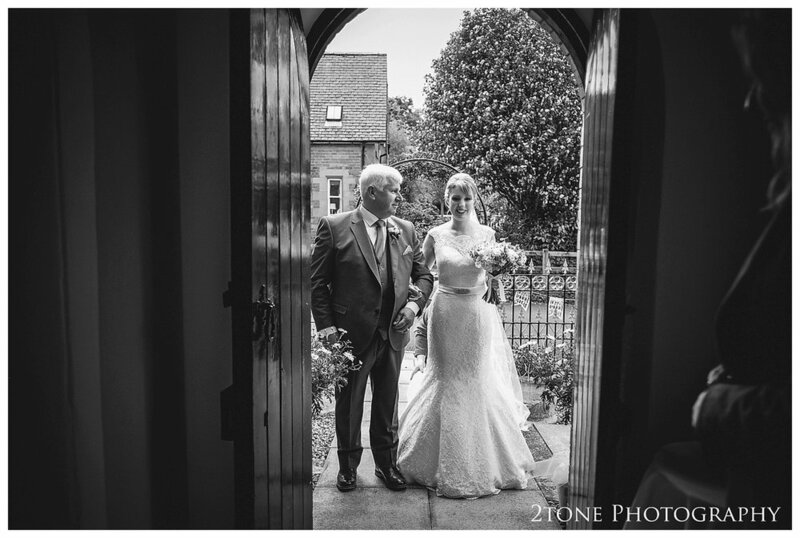 Emma and Tom decided to tie the knot in Eshott Hall's intimate reading room just a short walk from the hall before heading back for their outdoor drinks reception. 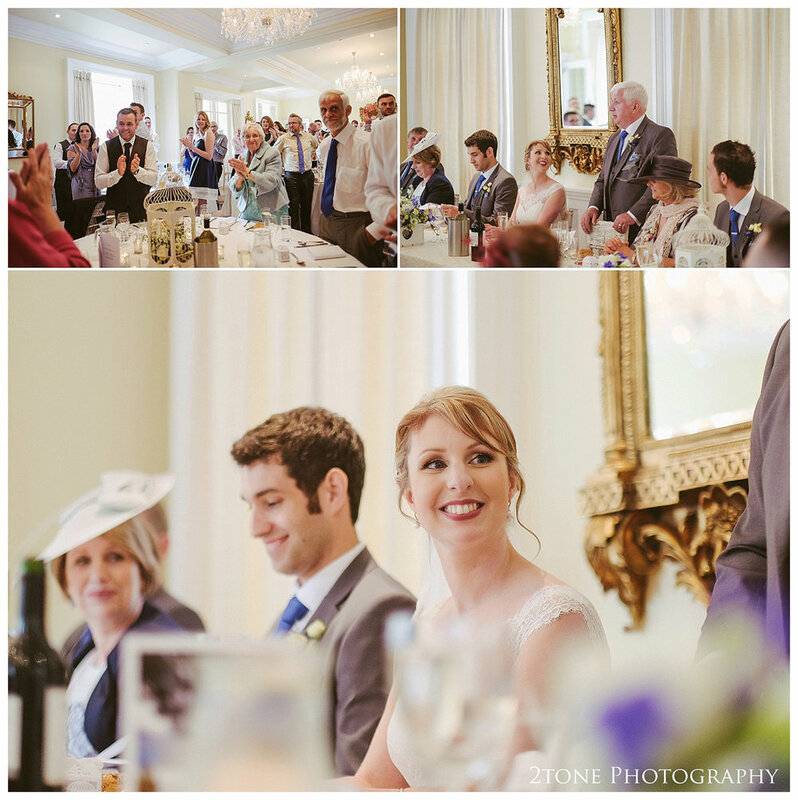 It was a wonderfully relaxed wedding day and a joy to be a part of. Here are the pictures. 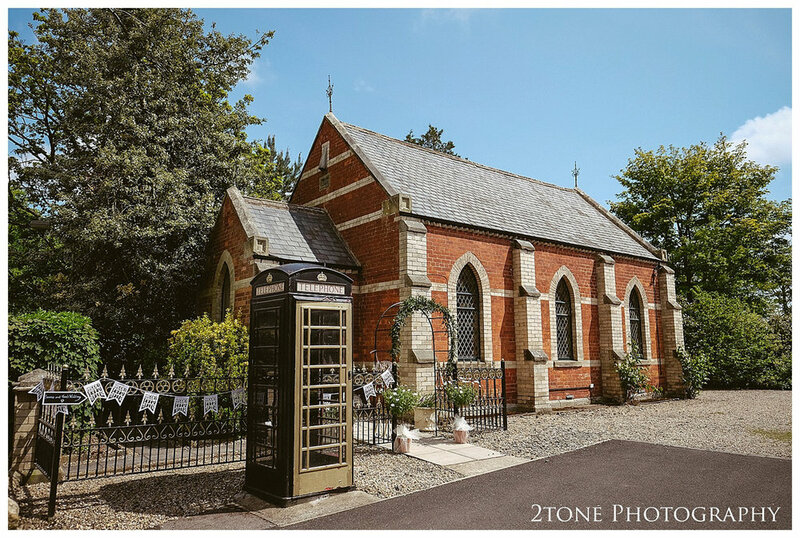 Louise and James were married in their local church St Mary's in Wickham, moving on to the elegant Eshott Hall for their wedding reception. 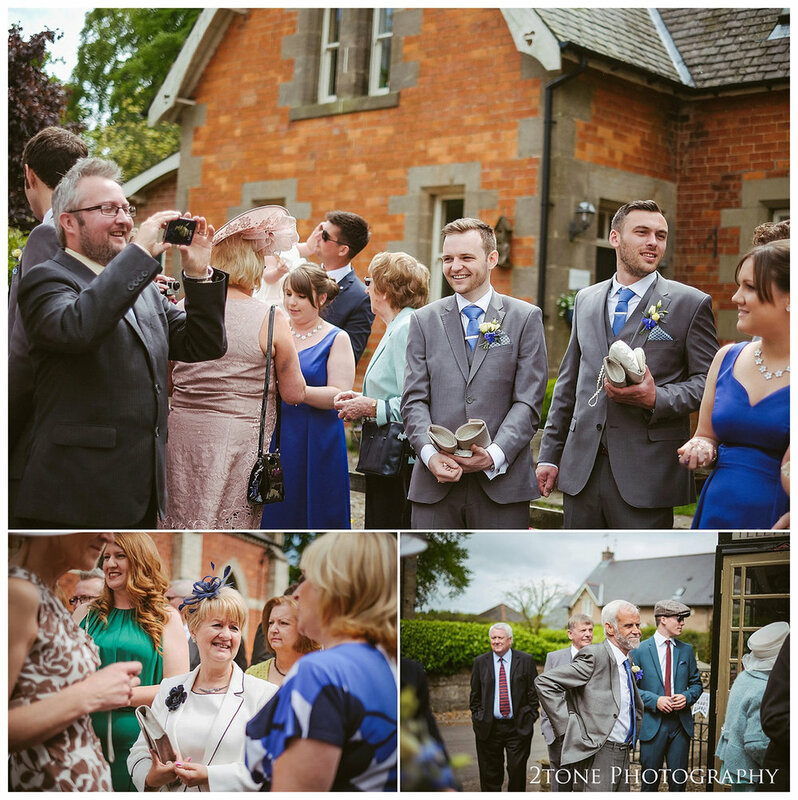 It was a joy to be heading back to the Parish Church of St John the Evangelist at Killingworth for our last wedding in May for Rachel and Ben's wedding. We were welcomed with open arms - literally by the church's lovely vicar who has a real knack of making everyone feel at home in his church. 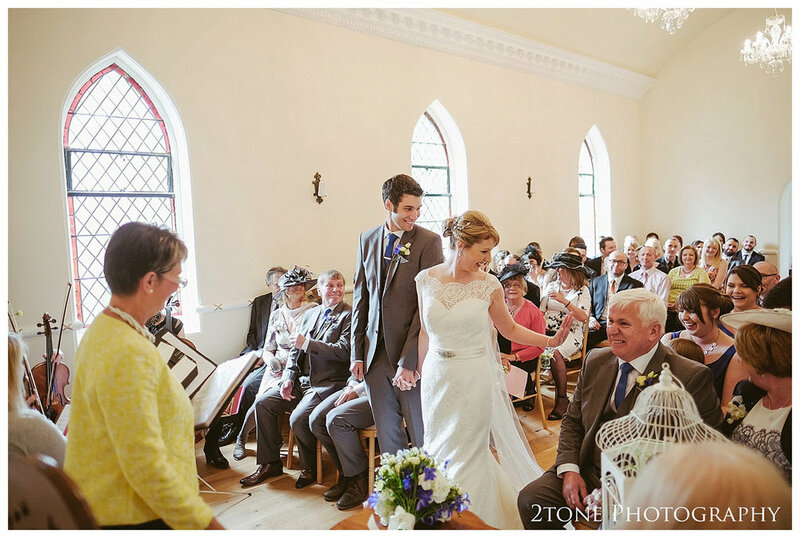 It was really enjoyable to see him insisting that everyone fully take part in the ceremony by putting a microphone in front of random guests while they were singing hymns which resulted in lots of giggles throughout and certainly eased the nerves of the couple. After a really wonderful ceremony and a few pictures in the grounds of the church, we all head north for the wedding reception at the gorgeous Georgian country house, Eshott Hall in Northumberland. 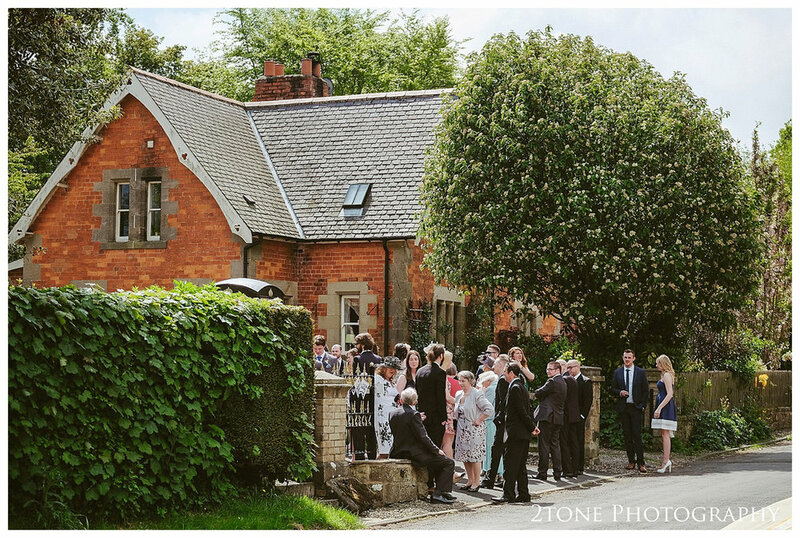 Travelling from Worcestershire and heading north, Samantha and Craig found their dream wedding venue in Northumberland. Eshott Hall with it's Georgian facade, elegant decor and mature gardens and grounds along with it's close proximity to where Samantha grew up made it the perfect place for their September wedding. 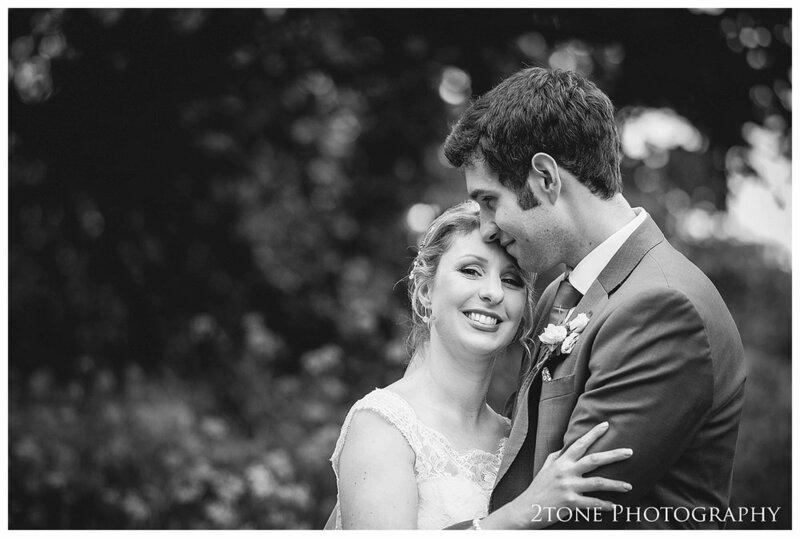 After a recommendation from Eshott Hall, Samantha and Craig got in touch, we hit it off straight away and we were both delighted when they asked us to join them on their wedding day. I asked Sam - how did you two meet? 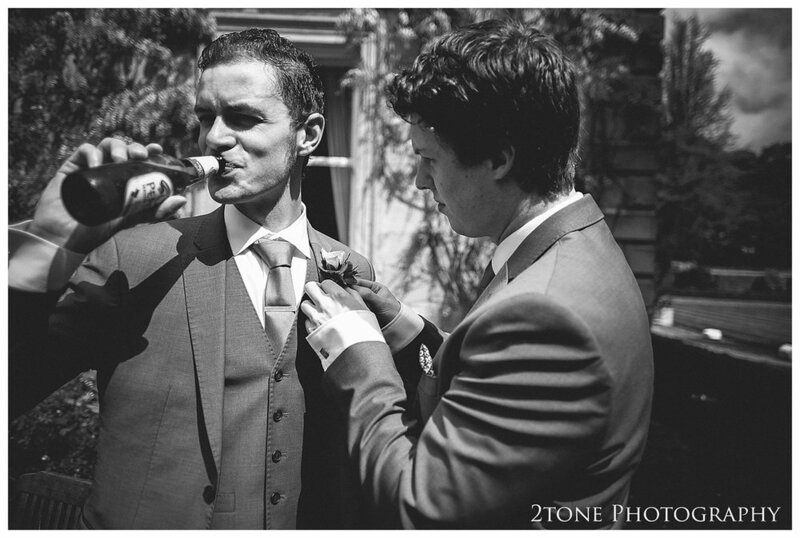 "We met at University, and remained friends for a couple of years before we became a couple. In 2007 we flew to Rome for a long weekend and Craig popped the question on the balcony of our hotel room over looking St Paul's Cathedral. It was beautiful." I took my time to carefully photograph Samantha's beautiful wedding details, her beautiful engagement ring, her stunning bouquet of roses and hydrangeas and her lace detailed shoes and veil. 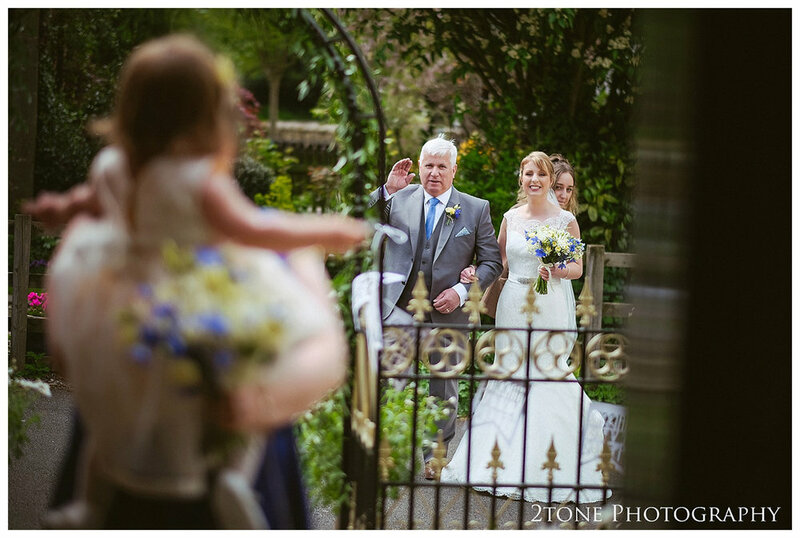 Samantha arrived in style and made her way up the stone steps to the church. "I remember during our vows that it really struck me what we were saying and what it all meant, and I struggled to get through the last part of it without crying!" Guests flood outside to greet and congratulate the newlyweds. "We were engaged for 7 years before we got married but once we decided to actually plan the wedding I was keen for it not to go on for years and we booked our wedding date with just under a year to go. 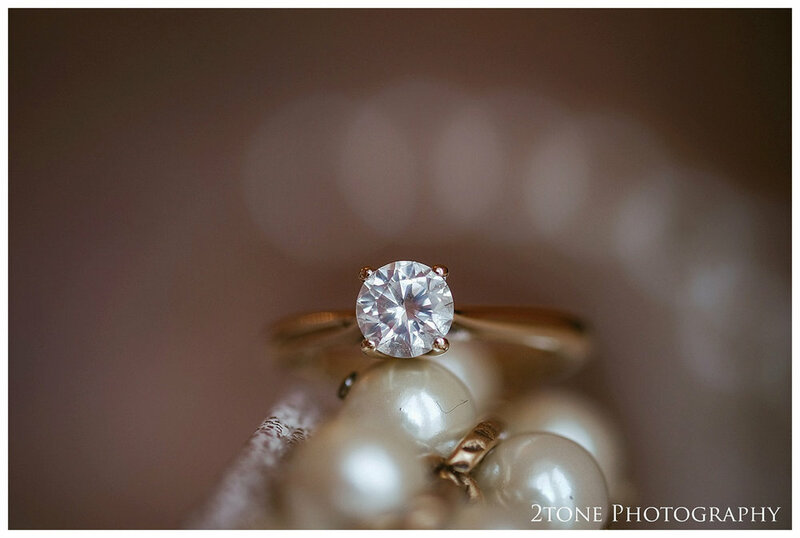 I wanted something classic, simple and elegant and the venue we chose had a huge influence on that. 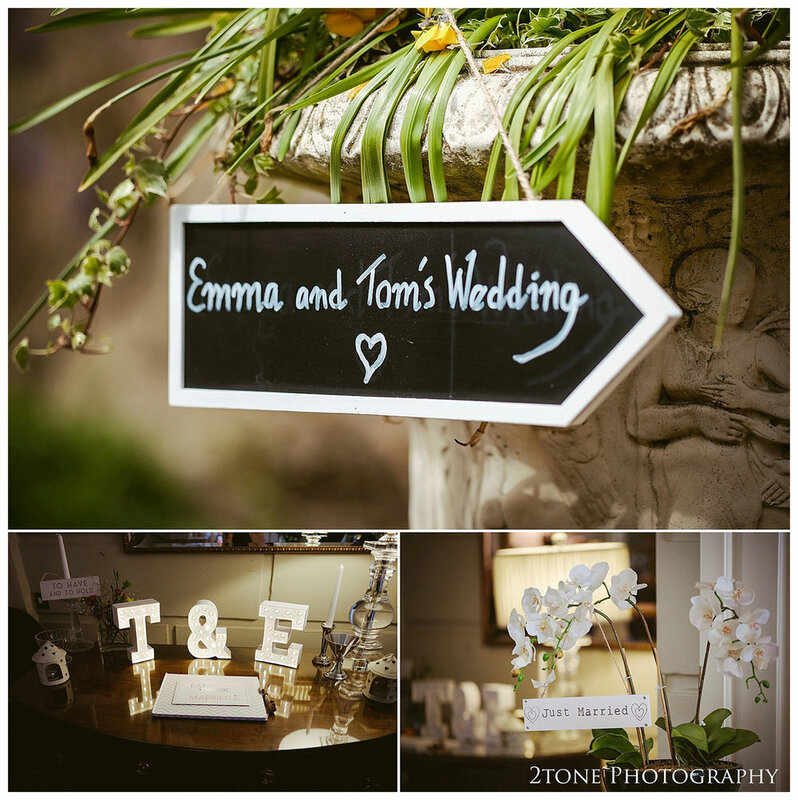 We had our wedding reception at Eshott hall which is a beautiful country house, which we had exclusive use of for the whole weekend. It was amazing to spend all that time with friends and family, especially as a lot of us were travelling to the venue (Craig and myself live nearly 5 hours away but I really wanted to get married near where I had grown up). It was the only venue that we both agreed on." 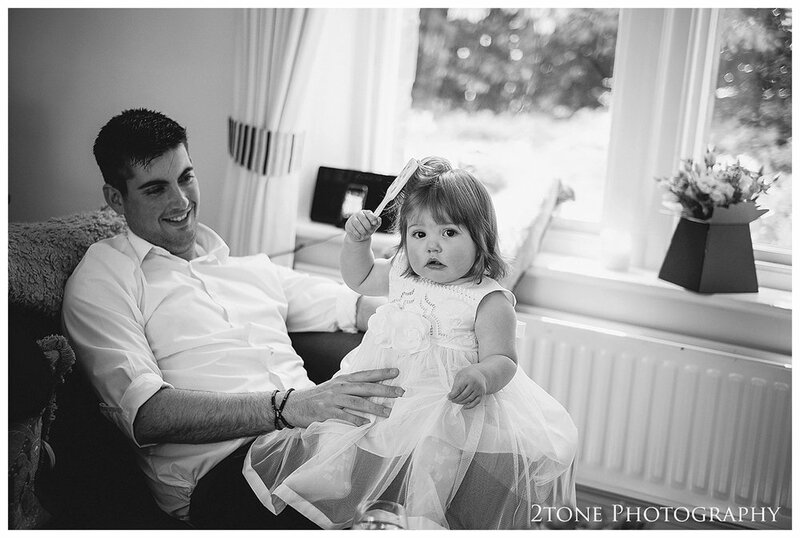 What was your favourite or the most memorable part of your wedding day? "We loved having all of our family and friends there for the whole weekend, getting to have dinner with them the night before the wedding and then breakfast the day after. 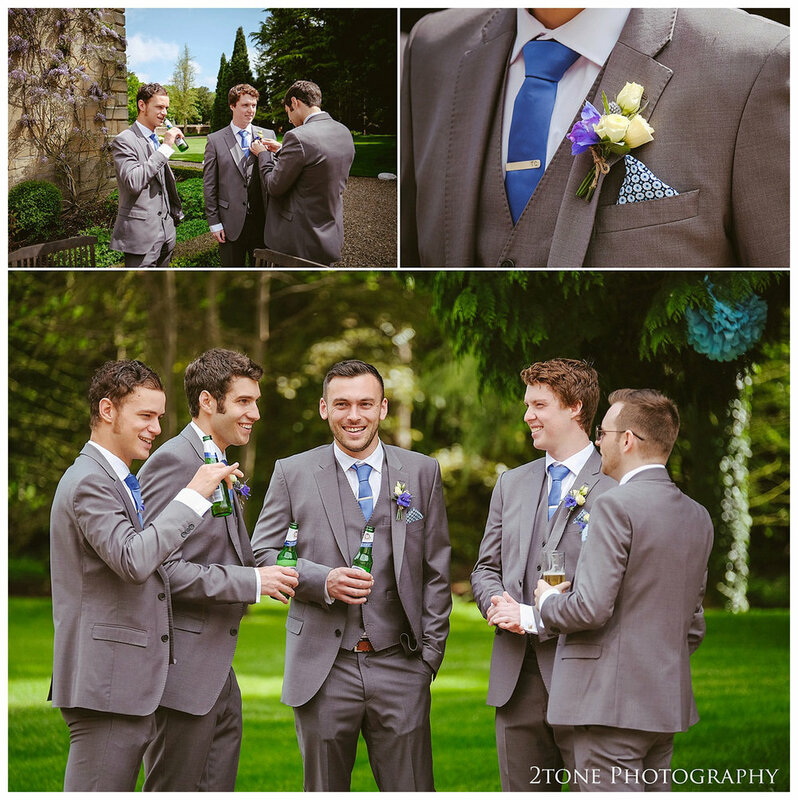 We enjoyed having our photos taken too, as it was one of the few times we actually felt we were alone together on the day." "We really wanted to capture all the important parts of the day, but also all the bits we knew we would miss as well. We wanted to have something tangible to remember our day by - now that the day has gone all we really have are the photos and the video to reminisce. I find myself looking at them all the time! 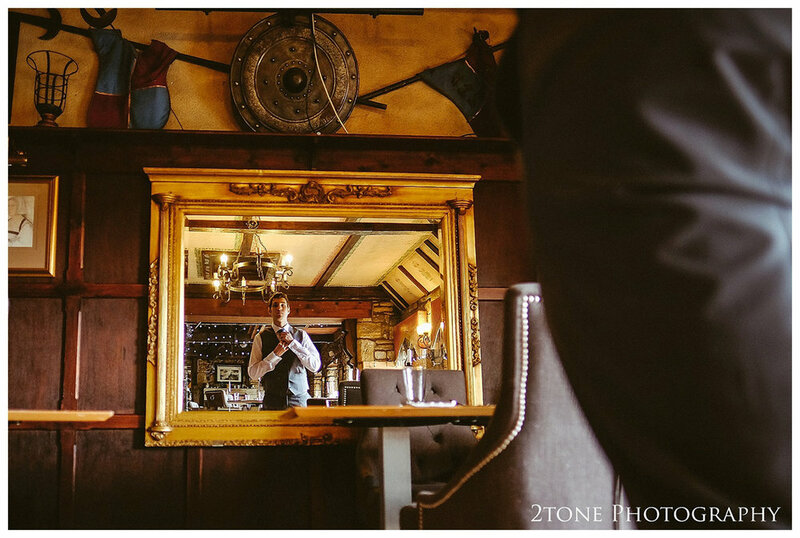 Initially we weren't planning on having a videographer so when we were looking for a photographer we keen to make sure we picked someone with beautiful photos, who were professional and really had a style that fitted in with us." 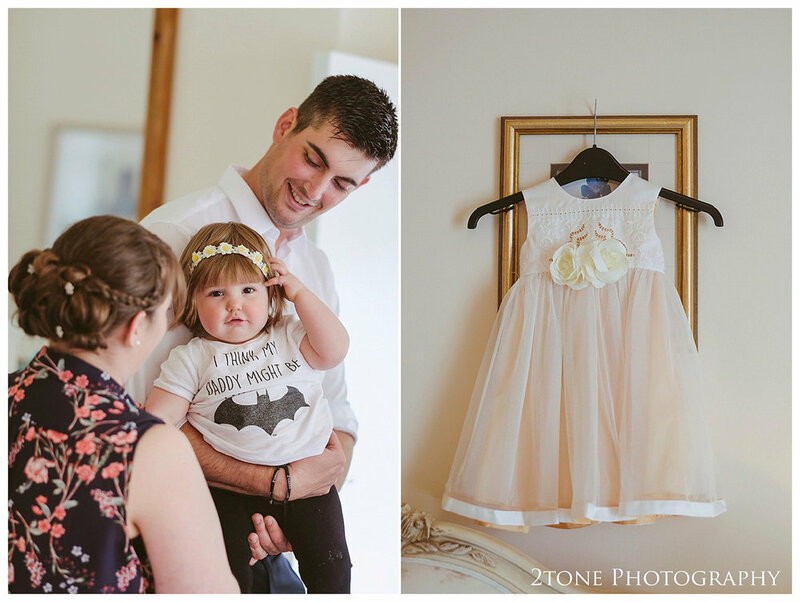 "We spent a long time pouring over the internet looking for photographers and getting any recommendations from other suppliers we had used, which was especially important as we don't live in the area so couldn't ask around. 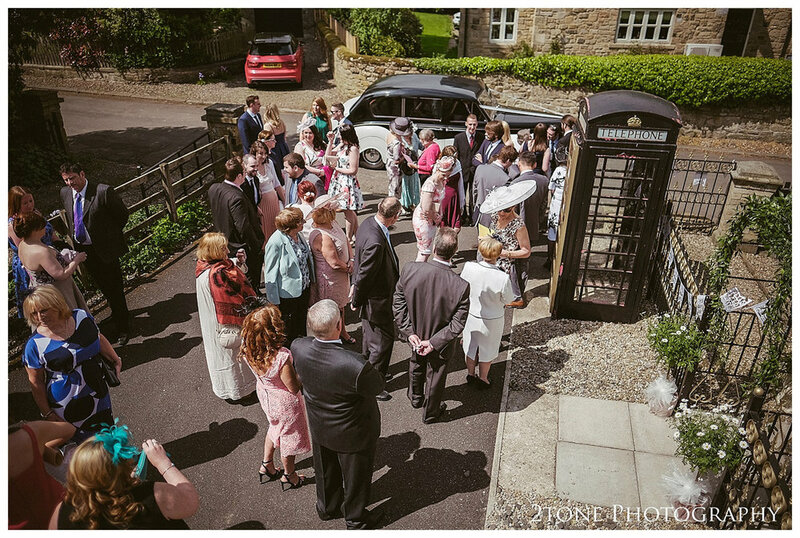 When we saw Nigel and Chrissie's photos we were so impressed, not only were they beautiful but very natural without being vintage which didn't fit with out wedding theme. 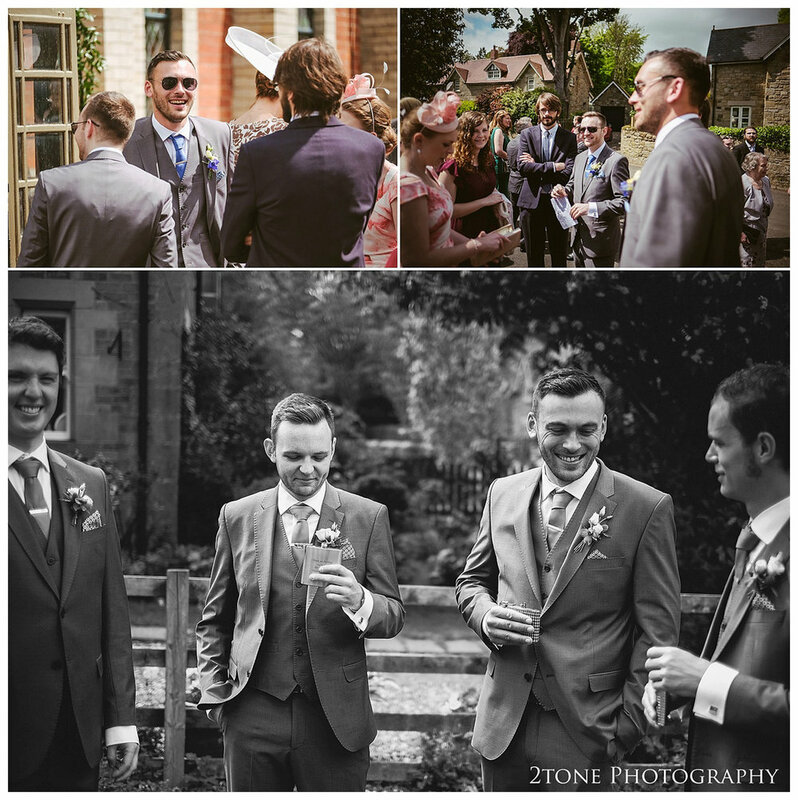 We looked at lots of different photographers but were always drawn back to 2tone's photos. When we met with Nigel and Chrissie it confirmed we had found the right people. Nigel and Chrissie were so down to earth and friendly, nothing was too much trouble for them, they were both incredibly helpful, and some how they also managed to blend into the background!" 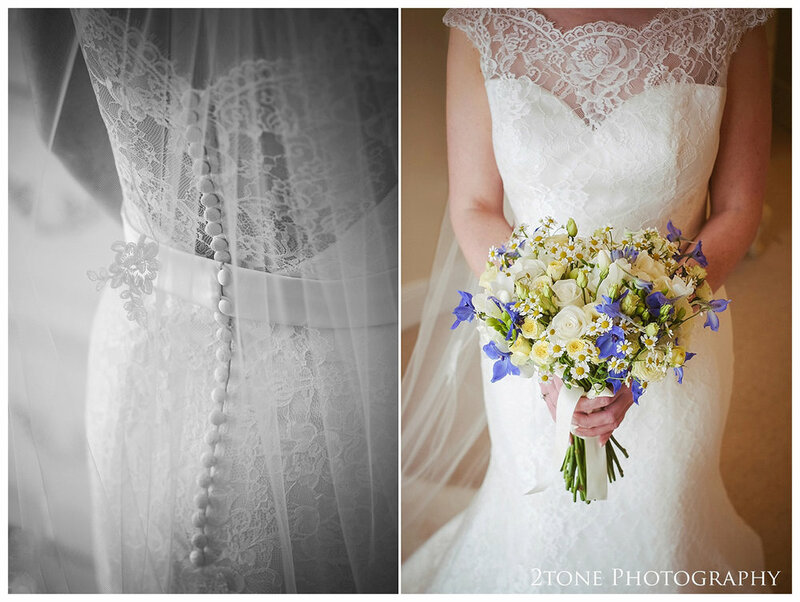 "We decided blue, silver and lace would be our basic scheme, blue is my favourite colour but it also really complemented the colours in the venue. We also wanted to have some acknowledgment to where we got engaged so named our tables after landmarks in Rome and had espresso cups with chocolate covered espresso beans for the favours." As the light fell, we all head back outside for a few more photographs. "Try not to stress! There will probably be a couple of things that don't go to plan but try not to worry about them as I guarantee the guests won't notice and you will barely remember it after the wedding! Try and take some time to be alone and savour the moment. 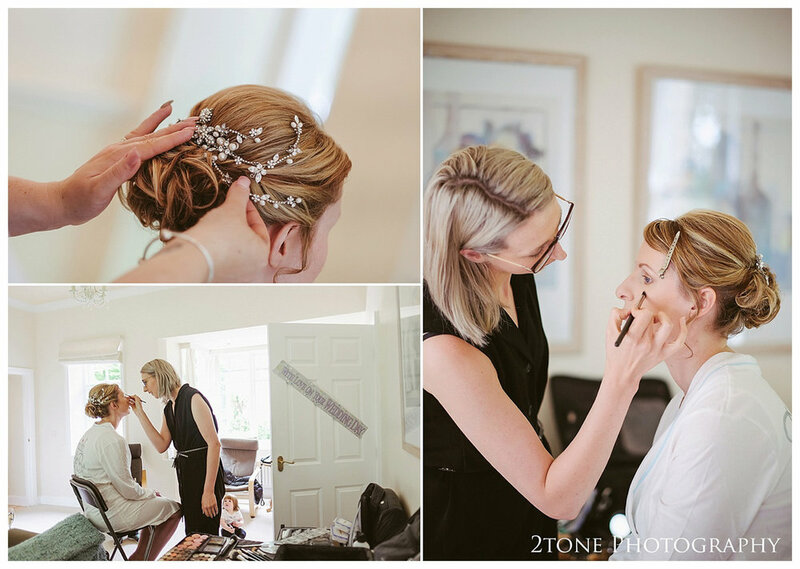 Everyone tells you the day goes so fast, and despite being up at 07:00 am for hair and make up, it felt like we were having our last dance moments later!" "Without sounding too sappy I love being able to say "This is my husband"! So here we go, a selection of some of our favourite images from the past year - our 2018 roundup!